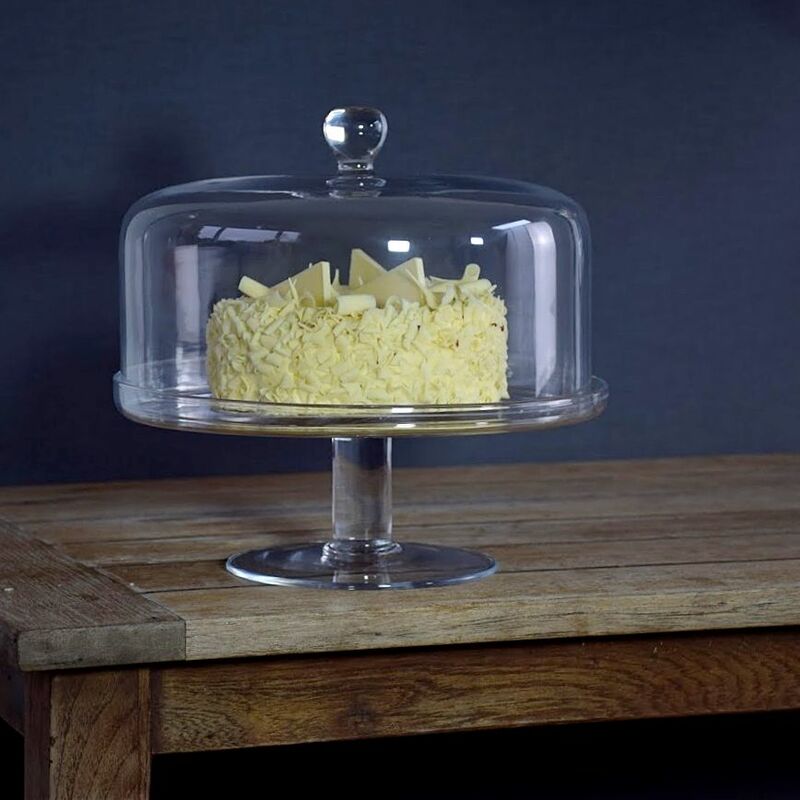 Keeping your cakes, pastries and fruit at hand is an important part of any celebrations party, so to give your gathering an extra edge of style, the Solavia cake stand wit a dome ensures the delicate handmade quality of this glassware is always by your side. 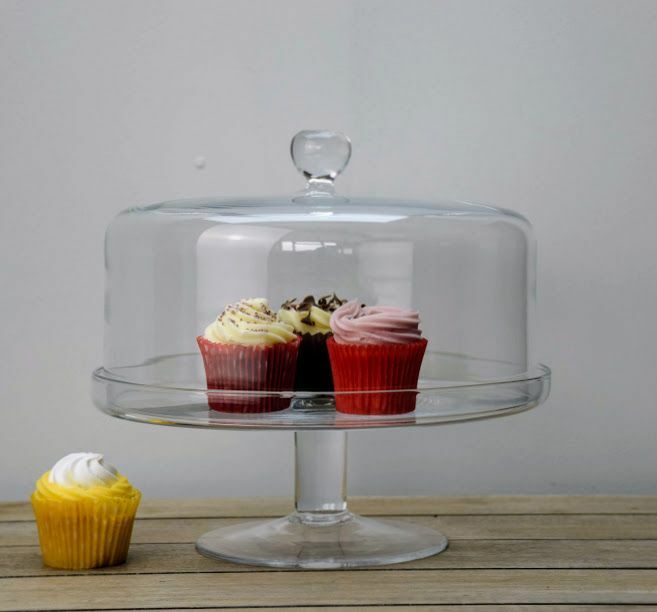 This lovely glass cake stand will make your treats look even more scrumptious. 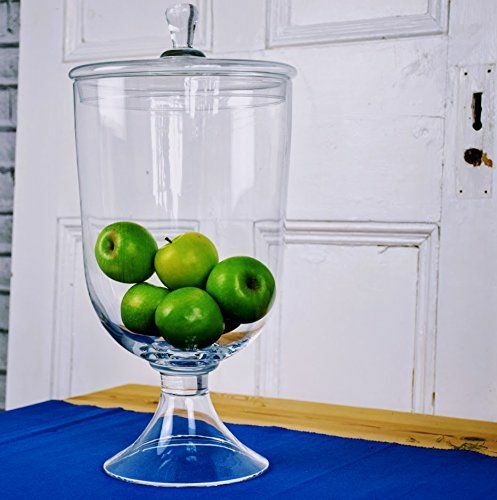 This lovely cake stand will allow to display an array of foods including cheeses, fruit tarts and even all different fruit. Please note: This item is handmade, mouth blown therefore occasional, minor bubble inclusions may be present.